Apimab Laboratoires' story started in 1978 to Marc-Alain Bernard's initiative, the current Chief Executive, when he was studying at Montpellier University, Arts and Sciences Department. After seven years of captivating studies, he left the University and decided to get involved in beekeeping, a fascinating job which involved freedom, initiative and a close relationship with the Nature. Soon he had up to 600 bee hives and launched a few years later, a place dedicated to his passion: the The Salagou Honey Farm in Clermont-l'Hérault (South of France). Many experimental and documentary research is carried out by universities and the industrial sector. 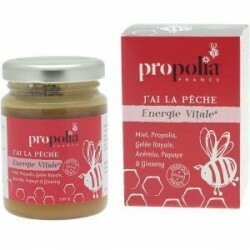 The research becomes more difficult than expected due to the resinous and impure natural consistency of raw propolis. 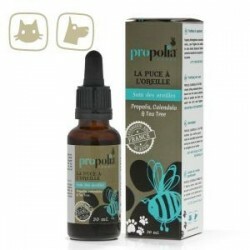 Indeed, raw propolis contains around 40% of impurities (wax, fibre, dead bees, wood splinter and so on). 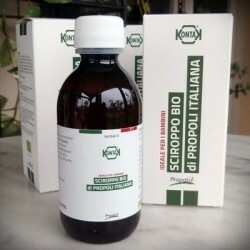 Purification methods on raw Propolis are then experimented and recognized, they finally allow the production of a pure propolis, only containing usable assets. Thus, the laboratory's first step was to standardize its raw propolis' production and transformation process in order to create different extracts in the form of powder (PPM30, PPM18, PPM14H) or of alcoholic (EALP, EADP) and non alcoholic (EGP) liquid extracts. Patents are pending. Since 2007, Apimab Laboratoires has chosen to develop organic and ecological certified products. Fresh-tasting Honey, Propolis & Thyme Throat Spray is formulated to work specifically for fresh oral hygiene and relieving sore throats. Lab-tested antibacterial activity on several strains from ENT makes this throat spray the strongest in our collection. 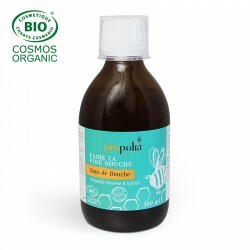 Oral hygiene in a natural way - For good oral hygiene, Propolia has created this formula which combines the benefits of Propolis (antibacterial defender in the beehive), Clove and Mint. Mild and natural, this mouthwash leaves your mouth fresh and hygienic for the entire day.